The Blue Picardy can use a fair amount of exercise due to their high energy levels. Playful, calm, and usually friendly dogs. Obedient, brave, loyal, even tempered, athletic, intelligent dogs. They are easily trained, responding best to positive reward based methods. Although bred for hunting, they like human or other canine companionship, as well as, plenty of exercise. Near the start of the 20th century the mouth of the River Somme in France was considered a paradise for waterfowl hunters. Because of quarantine restrictions in the UK at that time, British hunters would board their dogs in the Picardy area instead of bringing them home. 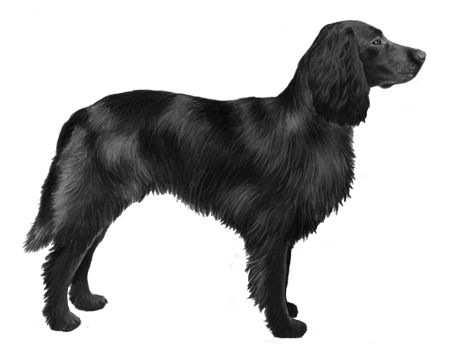 The boarded dogs tended to be English Setters and it is said that the infusion of this breed into the genepool was how the Picardy Spaniel population developed into the Blue Picardy Spaniel. As their heritage might suggest these dogs are often classified as gundogs and can use a fair amount of exercise due to their high energy levels. That being said they are often noted as being a “quiet” breed and one that thrives on human companionship. 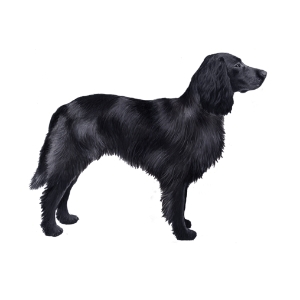 The Blue Picardy Spaniel is usually between 22-24 inches (56-61 cm) tall at the withers and weighs about 43-46 pounds (19-20 kg). True to its name the coat is speckled grey with black giving it a bluish hint of colour, with some black patches and is flat or slightly wavy with feathering at the ears, legs, and under the tail and.